Initially planned for December 2019 by the National Highway Traffic Safety Administration (NHTSA), Toyota has decided to advance its plan to replace the Takata airbags; safety recall to affect 65,000 vehicles in the United States. Toyota's safety recall to replace Takata airbags in a batch of its vehicles in the United States has been fast-tracked by a year. The models involved in the recall are the Corolla (manufactured between 2003-2005), Sequoia (manufactured between 2002-2005), Tundra pick-up truck (manufactured between 2003-2005) and the Lexus LC (manufactured between 2002-2005). The involved vehicles were subject to previous recalls where front passenger airbag inflators were replaced with new Takata-produced, non-desiccated airbag inflators as a remedy. Now though, Toyota dealers will replace the front passenger airbag inflator or the airbag assembly with an improved one, produced by non-Takata suppliers, free of cost. The reason behind this recall stems from a potential safety defect found in Takata inflators, caused by prolonged exposure to humidity and high temperatures resulting in propellant degradation. Activation of an inflator with degraded propellant may result in an airbag inflator rupture. Consequently, if a defective inflator ruptures, it may cause sharp metal fragments to pass through the airbag and spray directly at the driver and passengers, increasing the risk of serious injury or death. 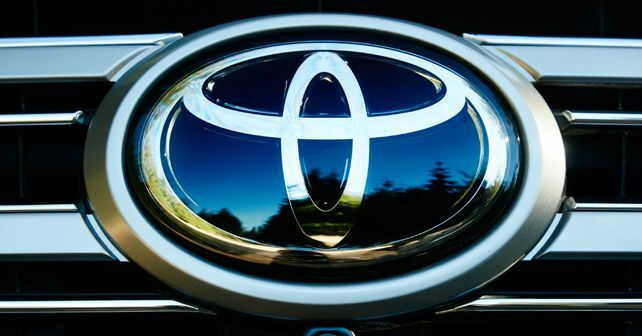 In March 2017, Toyota had announced a recall for similar reasons, affecting 2.9 million vehicles in the Middle East, Asia and Oceania region. Takata and its United States entity, TK Holdings Inc. had filed for bankruptcy in June 2017 after recalling more than 100 million of its airbag inflators worldwide.